VICTORIA, B.C. –Monday was a significant day for the Victoria HarbourCats as the West Coast League announced its 2016 post-season all-stars and award recipients. Six HarbourCats were named All-WCL in addition to head coach Graig Merritt being named Coach of the Year and managing partner Jim Swanson being named WCL Executive of the Year. The six All-WCL honourees is the most in HarbourCats history, reflecting the outstanding season the team had, clinching the franchise’s first-ever playoff berth and winning a WCL-record 40 games with a league-record 19-game winning streak. PJ Floyd (Sacramento State) was named Second-Team All-WCL as a utility player. Pluschkell, a 2017 junior infielder from UC Davis (NCAA Div. 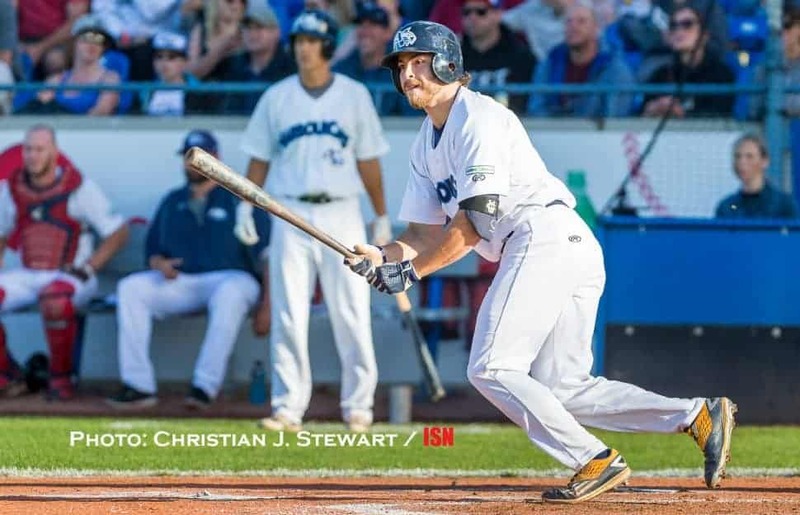 1; Big West), posted a .296 batting average with two home runs and 15 RBIs for the HarbourCats in 2016 while providing outstanding defence, committing only three errors in 39 games, primarily at third base. Alcantara, a 2017 senior outfielder from UC Irvine (NCAA Div. 1; Big West) and 2016 HarbourCats Player of the Year led the team batting .333 while hitting three home runs and driving in 16 runs. He provided tremendous outfield defence in his second year with the HarbourCats, highlighted by three home run-saving catches in left field. Mitchell, a 2017 junior left-handed pitcher from the University of Pittsburgh (NCAA Div. 1; ACC) set a new franchise record for wins in a single season with his 7-0 record in 2016. The second-year HarbourCats lefthander maintained a 1.86 ERA in 13 appearances, nine starts, leading the team in innings pitched (62.2) and strikeouts (61). Dondanville, a 2017 sophomore right-handed pitcher from Cal Poly (NCAA Div. 1; Big West) was 6-1 for the HarbourCats in 2016, working to a 1.72 ERA with 43 strikeouts in 11 appearances, seven starts. Dondanville this year became the HarbourCats franchise leader in career wins (10) and strikeouts (85). McAffer, a 2017 sophomore right-hander from Central Arizona College, led the HarbourCats with 10 starts in 2016, pitching to a 6-2 record with a 1.98 ERA and 58 strikeouts in 54.1 innings pitched. McAffer is a native of North Vancouver, BC and was drafted in 2013 by the Cincinnati Reds. Floyd, a 2017 junior from Sacramento State (WAC), hit .318 in 40 games for the HarbourCats in 2016, contributing two home runs and 15 RBIs. He was an extremely valuable defender, playing six different positions throughout the season. 2016 was Graig Merritt’s second season as HarbourCats head coach. The native of Maple Ridge, BC and former Los Angeles Dodgers draft pick and Tampa Bay Rays minor league player guided the team to a 21-8 finish and a new franchise mark for wins in a season with 29 in 2015, and the team carried that momentum through to 2016. Under Merritt’s watch, the HarbourCats reached the playoffs for the first time in 2016 by winning the WCL North Division first half pennant, won a league-record 19-consecutive games and became the first team in league history to win 40 games in a season. 2016 was Jim Swanson’s second year as managing partner of the HarbourCats as a member of the four-person local ownership group consisting of John Wilson, Rich Harder as well as Ken and Jim Swanson that took control of the club before the 2015 season. Under the direction of the local ownership, the HarbourCats have developed strong ties in the community and have earned a top-notch reputation among baseball circles. 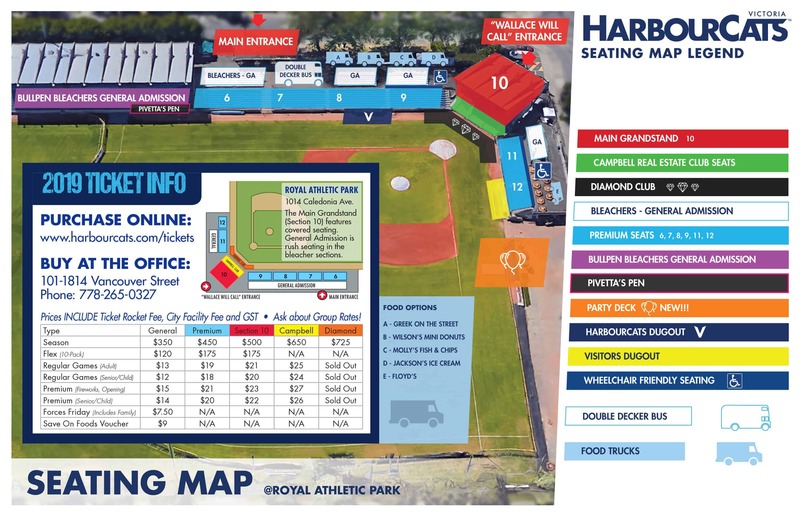 In addition to setting the new WCL wins record, the HarbourCats welcomed 60,466 fans through the gates of Royal Athletic Park this regular season for an average of 2,239 fans per game, both setting new franchise and league records. Travel on a Wilson’s Transportation bus to Seattle for the Mariners vs. Blue Jays series, September 19-21 at Safeco Field, where the HarbourCats have reserved a large block of seating at each game, while also enjoying a two-night stay at Tulalip Resort and Casino, one of the premier resort and entertainment stops in the Northwest. • Two-night stay at Tulalip Resort and Casino with daily buffet breakfast and gaming voucher. • Three game tickets with block seating on the first level, third base line. Pricing from $689 for double occupancy, including all taxes and fees. Pricing from $669 for triple occupancy and $649 for quad occupancy, including all taxes and fees. Single rates available upon request. The HarbourCats office has returned to off-season hours and will be closed from August 20 to September 7.